WARTS are caused by the human papillomavirus (HPV). HPV is contagious, so it is easy to get this virus. Many people get a wart when they have skin-to-skin contact with someone who has a it. You also can get a it by touching something that touched a person’s wart, such as a towel or the floor of a locker room. 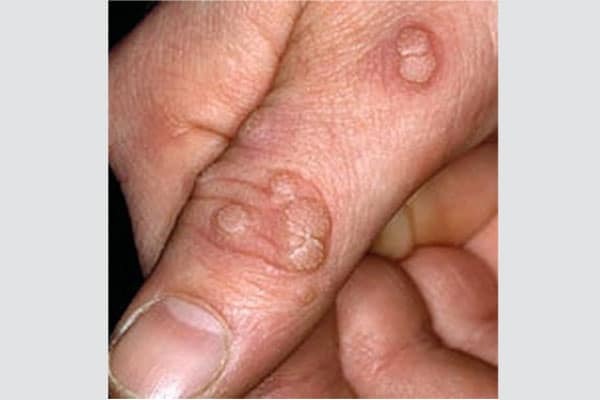 These usually form on the fingers, around the nails where the virus can easily get into the body, such as near a bitten fingernail or hangnail. They also form on the back of our hands. A common wart often looks like a rough bump. 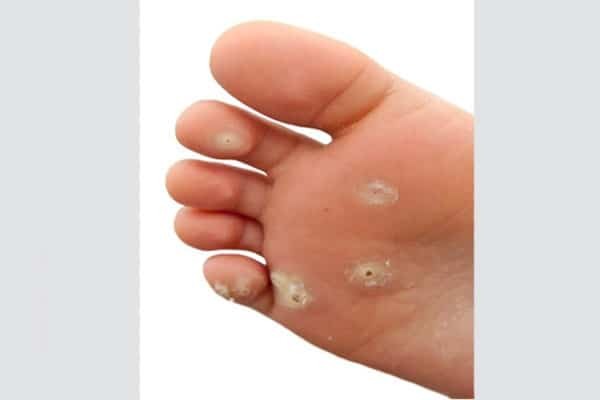 When common warts form on the soles of the feet, they are called plantar warts. Plantar is the medical term for the bottom of the foot. Left untreated, they can grow quickly. These can be found anywhere on the skin, but are most common on the face. Shaving seems to cause these warts to spread, so flat warts are common in the beard area of men and on the legs of women. They usually appear in or around the genital region. People get genital warts through sexual contact. In some cases, a mother can spread it to her baby during childbirth when the baby passes through the birth canal. Certain strains of genital warts can cause cancer in males and females, so it is important to treat them early before they can turn into cancer. Women who have been exposed to them should see a gynecologist to get screening tests for cervical cancer. This screening test allows doctors to find early signs of disease, which can be treated before cancer has a chance to develop. HPV vaccines can prevent males and females from getting some of the most common types of HPV that can cause genital warts and cancer. These vaccines do not protect against other types. For the best protection, it is important to get all three shots. The vaccines should be given before a person becomes sexually active. Many types are usually harmless and tend to disappear with time. Since it can take a few months to longer than a year to disappear, treatment may be recommended. Treating them reduces the risk of spreading the virus to other parts of your body and to others. Dermatologists offer many wart treatments. The treatment a patient receives varies with age, type, and many other considerations. No one treatment works for everyone. Some of them are stubborn and require your dermatologist to use more than one type of treatment to clear them off. Many treatments that you can buy without a prescription contain salicylic acid. Your dermatologist can prescribe a medicine that contains a stronger dose. If your dermatologist prescribes a medicine with salicylic acid, you will likely apply it every day after bathing or soaking. It can take many weeks to see results. You should stop treatment, at least for a short time, if the wart or the skin around it becomes sore. This treatment destroys the wart by burning it off. Do not pick or scratch at warts. This can spread the virus to other parts of your body. Wear flip-flops or pool shoes in locker rooms, pool areas, and showers and bathtubs used by many people such as those in hotels and health clubs. HPV spreads easily in warm, humid conditions. Keep your feet dry, as moisture helps warts spread. Warts are common and should not cause you to worry. Warts are benign (not cancer). Your dermatologist can help make sure that warts are properly treated, giving you the best possible result.